Wat is dit voor site? Wij zoeken de goedkoopste boeken op internet. Intelligent and Adaptive Educational-Learning Systemsvonden we het goedkoopst op Bol.com voor €0. We hebben gezocht in nieuwe en tweedehands boeken. Rechtsonderaan de pagina kan je het boek direct bestellen	via Bol	.com. The Smart Innovation, Systems and Technologies book series encompasses the topics of knowledge, intelligence, innovation and sustainability. The aim of the series is to make available a platform for the publication of books on all aspects of single and multi-disciplinary research on these themes in order to make the latest results available in a readily-accessible form. 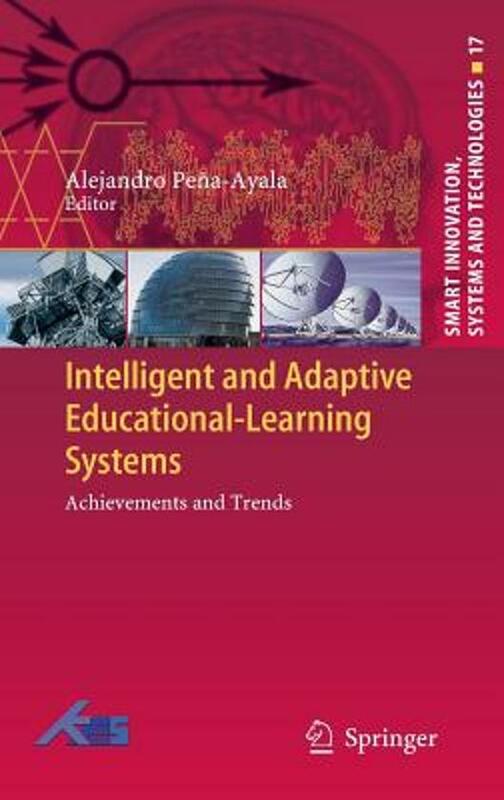 This book is devoted to the Intelligent and Adaptive Educational-Learning Systems . It privileges works that highlight key achievements and outline trends to inspire future research. After a rigorous revision process twenty manuscripts were accepted and organized into four parts: Modeling, Content, Virtuality and Applications. This volume is of interest to researchers, practitioners, professors and postgraduate students aimed to update their knowledge and find out targets for future work in the field of artificial intelligence on education.